It doesn’t seem like three weeks have passed since Beantown Camp ended. Maybe that’s because we are still wrapping things up, collecting photos and working on the camp DVD. Leading up to camp, we had a feeling that it was going to be a good week. How could it not with the incredible line-up of instructors and bands? Once again, we just have to say that Beantown exceeded expectations. It was just an incredibly wonderful week full of smiles, fun and joy! We want to thank each and every one of our Beantown staff and campers. So much positive energy. As we are back in our regular classes, it is very rewarding hearing from our own first-time students mentioning how much they loved the classes, all the nice people they met and the fun time they had. Good to hear after subjecting them to our saying over and over again to go to camp! 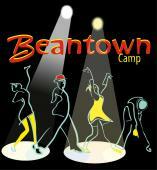 Another amazing Beantown Bounce showcasing the incredible talent of Beantown instructors. Thanks to Michael Jagger and Evita Arce for producing, Peter Strom for choreographing the finale, all the performers and the entire crew for providing such an inspiring and entertaining show. Peter’s late night Soul Party, always a camp highlight, where everyone kind of just lets loose and has a super fun night. Night after night of phenomenal music from our three awesome bands, Gordon Webster, Campus Five and Glenn Crytzer, as well as Michael Gamble and his crew of DJs. The most fun BBQ night ever on the 4th of July, one of our all time highlights. Something about the end of camp, the sparklers (thank you Cynthia!) and watching the fireworks across the water made it a really special night. Our wonderful Frankie Foundation Ambassadors, Merika, Josh and Lehua. They were each a joy to have at camp all week and we are thankful that we were able to provide this opportunity for them. In addition to our teen ambassadors, we may have had our largest group of teens ever and it was such a great time watching all of them having so much fun. If this is the future of Lindy Hop, we are in good shape! The excellent weather we had, perfect for the beach, and it seems that many campers took advantage of that this year. Having Norma Miller with us all week to share her life, remind us of where it all started and for being so much fun to talk with. As always, one of the most special features of Beantown, connecting with old friends, new friends and just enjoying being together! Yes, there were more, and the list could go on and on! The whole week was kind of one huge highlight! So many people to thank for the incredible week of camp. We would like to send some special shout outs to our wonderful crew who help us to check-in all campers, run the café, the shop, the water crew, drivers, videographers, photographers and help with so many other tasks including Joel Domoe for once again doing an awesome job running the competitions and Edgar Herwick for adding his emcee talents to the proceedings this year. Thanks to Dave Lasagna for bringing extra smiles to our faces and providing his own special touch to our days. We also want to send a huge thank you to the most wonderful staff at Endicott College. We know how lucky we are to have Patrick watching over everything and going out of his way to be sure everyone has the best time possible. Plus the amazing dining staff who make the effort to provide us with a big variety of healthy, decadent and delicious meals. Everything has just gotten better since we moved to this wonderful campus eight years ago and we feel it adds so much to what makes Beantown such a unique and special experience each year. Beantown Campers, you are the best! Thanks to all who traveled far and near. We appreciate your support and we appreciate you! We wish you all many happy times ahead and hope to see you back in 2013!